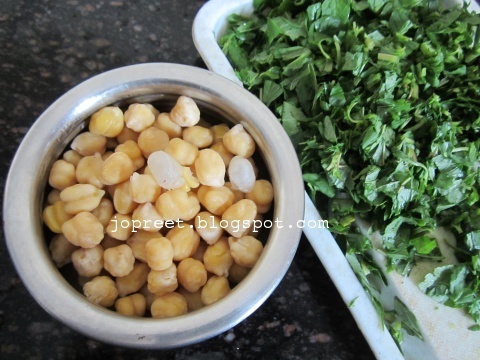 Pressure cook channa with 1 cup water for 3-4 whistles. Remove from the heat and drain the water completely. Heat 2 tsp oil in a kadhai and temper mustard seeds. Add broken red chilies and garlic flakes. Saute a while. 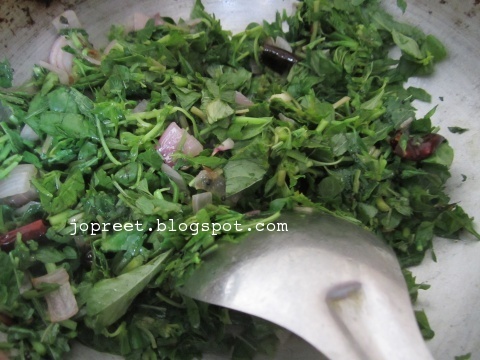 Add chopped onions and curry leaves. Fry for few mins. 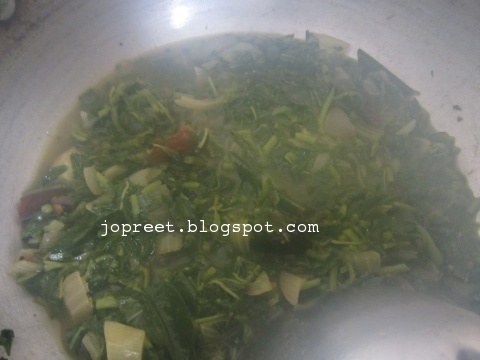 Add chopped keerai and 4 cup water. Cook it covered on low flame till the water is absorbed. 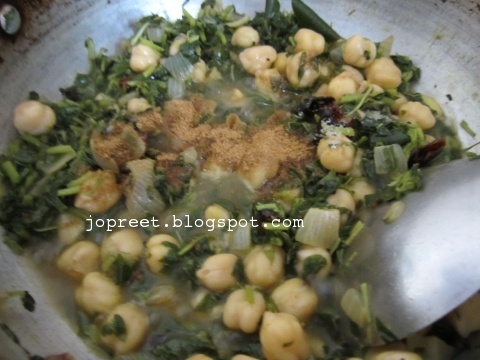 Add channa, coriander powder, cumin powder, asofeotida and salt to taste. Mix well and cook it covered for another 10 mins. Serve hot with rice. 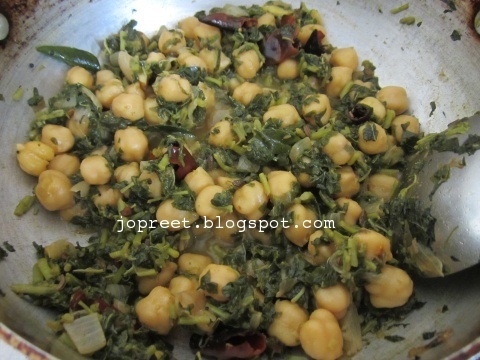 Healthy and nutritious combo, have to make some with spinach. So yummy and flavourful dish. Awesome pictures .. Delicious fry Preeti. I haven't tried in stir fry. Unique combo!! healthy and delicious..